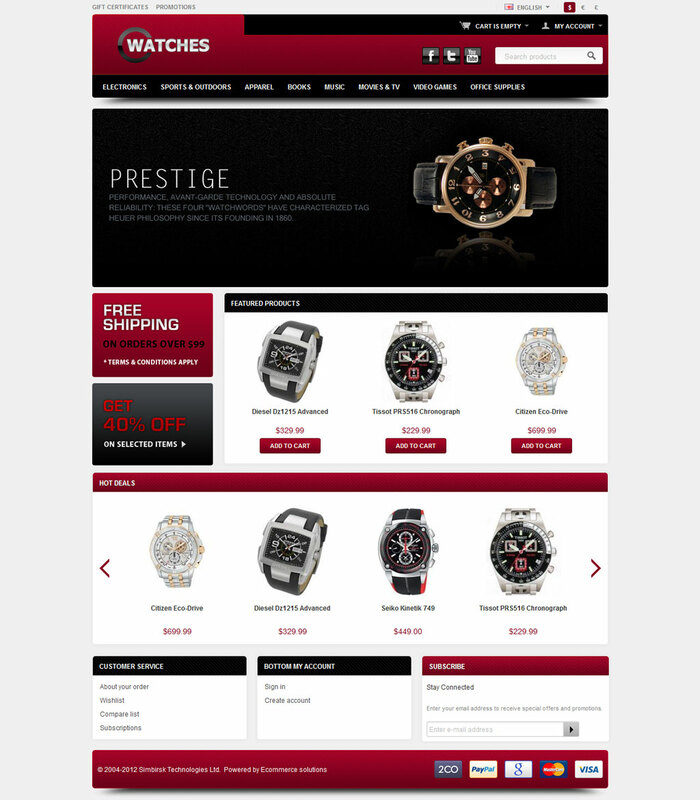 We are proud to announce you our brand new theme for CS-Cart v4, the Wathces theme! 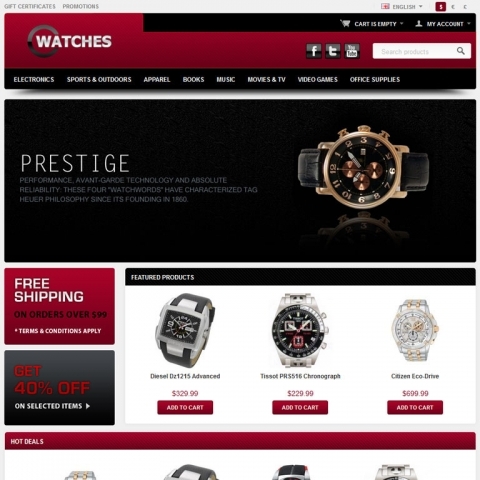 Ideal for watches stores, jewelry stores or any other kind of accessories store! Check out the demo! Strong contrasts in color, elegant header, and a revamped top panel are just a few of the features that make this template unique and stylish.